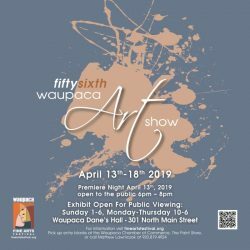 The 2019 Waupaca Fine Arts Festival – Art Show is Open! are the Chairpersons for the Waupaca Community Art Show. via the Contact form, or call or text Matt at 920-819-4924.